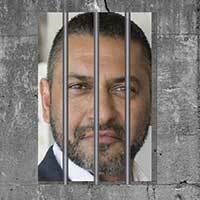 South African businessman Zunaid Moti is languishing in a Munich jail and could soon find himself in Moscow, facing serious fraud charges and the threat of imprisonment. Although the matter has already been widely reported, Noseweek thought it important to note the arrest as a matter of record, as we were the first publication in South Africa to start reporting on Moti’s business shenanigans nine years ago(noses118; 119; 120; 126; 128; 130; 131; 139 & 143). 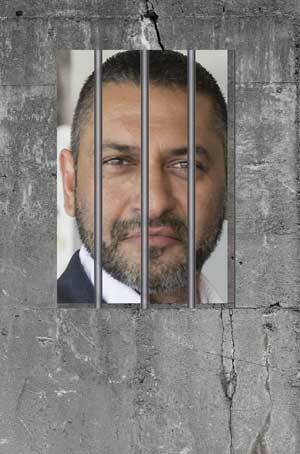 Moti’s family, who have engaged a bevy of lawyers, both in South Africa and abroad, are tight-lipped on exactly why he is incarcerated, except for claiming it has everything to do with a vendetta being driven by Russian businessman Alibek Issaev, who they claim is part of the Russian mafia. Gossip has it that he is “Vladimir Putin’s man in the Middle East”. He is fairly young and fabulously wealthy with diverse business interests. His success has been broadcast on Russian news media, including the Kremlin-funded English news channel RT. German authorities have told Noseweek the extradition case should likely be resolved by October. Florian Gliwitzky, head of the press office at the Higher Regional Court in Munich, confirmed that court has issued a “preliminary order for extradition”. “The court will have to decide if the extradition to the authorities of the Russian Federation is permissible,” said Gliwitzky. One of the aspects under review, he said, was whether the charges that Moti faced in Russia were also a punishable crime in Germany. It appears he is facing charges of fraud, but details of the charges are not known. Intriguingly, Issaev is not the official complainant. Interpol would not give any details, and suggested Noseweek direct inquiries to Russian authorities. Numerous attempts to raise Issaev, first via a company he owns and then through direct phone-calls to the Burj Al Arab Hotel where we were told he was staying, were unsuccessful. We were informed that Issaev met Moti family representatives in Dubai to try to have the arrest warrant lifted, however details of that are sketchy. Moti was placed under provisional arrest when he tried to leave Germany through Munich Airport on 19 August after a Diffusion Notice was issued by Russian authorities on 24 January. Moti previously faced an Interpol “Red Notice” against him issued by the Lebanese police in June 2017 along with one against his dad, Abbas, as well as senior associates Ashruf Kaka and Salim Bobat. They were accused of defrauding Issaev out of R6.6m in an allegedly bogus mining deal struck in Lebanon in 2013. The men all claimed the arrest warrants were obtained on falsified information. The Sunday Times reported that Moti denied ever having been to Lebanon and instead, claimed Issaev stole a R500m pink diamond and other property from him. Moti’s lawyer Ulrich Roux says the Lebanese-issued red notices were quashed by Interpol on 15 December 2017. Noseweek has since learnt that Moti has also been accused of playing the “red notice game”. It is alleged he got Zimbabwean officials to issue a notice against Issaev between 2014 and 2017. Roux refused to comment. It is clear is Moti is in big trouble. He was refused bail and his next hearing will be in October. His family has been trying to call in every favour possible, including calls to President Cyril Ramaphosa. As one insider put it: “Germany is not South Africa, you can’t swing someone R50,000 to make it go away”.